What's NEW with Opal Whiteley? I was amazed when I found this fragment from Opal's lost diary! The fragment is one quarter of an 8/11 page - torn. It was torn both lengthwise and then across. It was clearly torn on purpose. It is not dated - but is likely from her 12th year in Dorena, Oregon in 1908. Opal always maintained that her sister tore up the diary. This scrap of paper may solve one of Opal's mysteries. It would strongly support that Opal did keep a diary and it was torn up as she claimed she did. She also said that she kept her diary in school composition notebooks as this piece is from. Read the exciting full story here. Newspaper Man Elbert Bede says "Opal Kept a Diary as a Small Child"
Here is a newspaper article, written in 1933 by Elbert Bede where he say he has �definitely established� that Opal wrote a diary as a small child, and it was torn up. Elbert Bede was Opal's strongest critic. However, here he says that two people, a man and a woman, saw Opal's original diary written with crayons on scraps of paper. Some critics charge that Opal did not start keeping a diary until she was 12 or 14. Bede's 1933 article is evidence she did keep a child's diary. This letter is from a religious leader and attorney in Oregon, Evert Baker. He and his wife were her patrons in the Junior Christian Endeavor. In the letter, Evert says that he had "always" known that Opal was adopted and had been a "homeless child". Evert Baker's sermon in 1911 inspired Opal to teach nature to children. This letter is dated June 2, 1920 - just after the diary's first printing in the Atlantic Monthly. 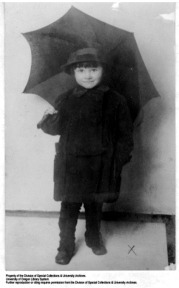 Baker often introduced her as an orphan at gatherings. He does not take a position on the French parentage question. Meet the woman who encouraged Opal to keep a diary. Learn great new info and see photos of Sadie and the Man Who Wears Grey Neckties. Also, read the story of John Wilson who encouraged Steve to study Oregon history. It is a story of the influence of "Elders" and teachers on children and others. The years of Opal's involvement with the Christian Endeavor (1911 - 1918) were some of the happiest and most productive of her life. Christian Endeavor was a very progressive youth organization. CE had an African-American man as a board trustee in 1900. CE leaders were deeply involved in the labor rights struggles of the early 1900's. They were also early foes of the tobacco industry selling cigarettes to young people. Read the Opal's CE story here! This is a 1916 Freshman writing assignment of Opal's. It is a short 520 word story about the death of a lumberjack. It may also contain important clues for how Opal felt at the University of Oregon. Many students from rural areas felt intimated by the town/gown/urban/rural splits. Along with her text are scans from Opal's original handwritten assignment. There is also a Commentary at the end of the scans by Steve Williamson and a short article about time at the UO. Schizophrenia or Autism? Did Opal Really Have Asperger's Syndrome? 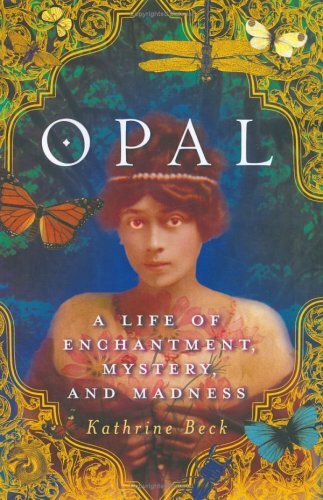 Opal spent almost half a century in a mental hospital diagnosed with schizophrenia. However, several years ago I took another look at her and now think Autism/Asperger's would be a more accurate diagnosis. Little can be known for certain, but much of Opal's story turns out to be true. She cannot easily be dismissed as "crazy" just because she was diagnosed during years when millions of women were institutionalized often for trivial reasons. Without Fred Ure there would have been no Opal Whiteley Memorial. Fred's two sons, Doug & David also helped us build Opal Park, the sculpture garden and wildlife sanctuary. Then, these boys did something really special ... helped stop a school shooting. Read their story from LIFE Magazine here. The Opal Whiteley Memorial began in 1994 with our first celebration of her life and writings in Cottage Grove. Since then we have done many other events and activities. Read about our work to discover the truth behind the mystery of "Princess" Opal Whiteley and efforts to restore her memory. Visit Opal Online - read her Diary, View Rare Photos & Much More! 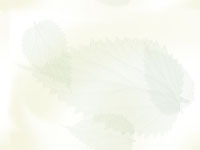 Coming Soon ... Opal's Very Own FaceBook Page from Cottage Grove! In addition to researching the life of Opal Whiteley, Steve is also noted for documenting the forgotten history of Asians in early Marcola, Oregon. Opal lived in Marcola as a small child. Discover where Opal lived before moving to Cottage Grove. Read the story of the Ping Yang School bombings just two years before Opal moved to Marcola / Wendling. Steve is the co-chair of the annual Oregon Asian Celebration's Heritage Exhibit. Click Here to Send Us E-mail!